Dr. D. Clark Wernecke is the Executive Director of the Gault School of Archeological Research. This article appeared in TARL’s newsletter in two parts. Part I was published in the July 2017 issue and Part II was published in the September 2017 issue. Anthropology (Denton 2016). He conducted some of the first professional archeological excavations in the state, fostered some of Texas’ up-and-coming archeologists, and was a champion for the discipline of anthropology and archeological research. 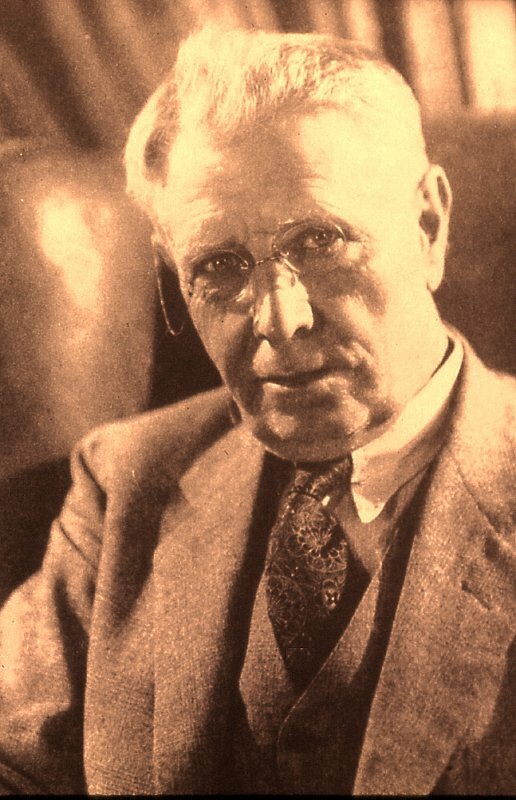 Pearce was also the instigator and pushed for a State Museum in Austin in the late 1920s and did establish the first anthropology museum at UT (Tunnel 2000), contributed to the Bulletin of the Texas Archeological and Paleontological Society (Pearce 1932), patented a new kind of plow (patent #1,111,613), and was known as a grower of improved varieties of pecans (Bedichek 1928). One of J. E. Pearce’s most famous publications was Tales that Dead Men Tell, published in 1935 (Tunnell 2000). “One of the largest mounds of its kind in Texas. A portion of the mound has been excavated yielding an abundance of beautiful flint artifacts. Funds available do not permit complete excavation. The site is being destroyed by haphazard digging of landowner and others who dig the specimens for sale.” (Pearce 1934). Pearce’s excavations lasted eight weeks in the fall of 1929 and it is possible Mr. Ramseur returned alone in March of 1930 (Barnard 1939). The crew excavated about a third of the midden by their account and recovered over 3,000 artifacts and two fragmentary human burials. The midden was hand-excavated by broadcast archaeological methods employing shovels as the primary excavation tool. This excavation strategy included a base line incorporating a “zero point” (site datum) laid out parallel to the long axis of the site. Along this baseline five to ten foot square units were established in a continuous row with workmen assigned to each square. They hand dug the trench in each square along the baseline running the length of the site where possible. The trench is estimated to between 1 and 1.5 meters (m) deep based on photographs of the work (Figure 2). The initial trench was just wide enough to allow an individual in the trench to carefully examine the contents of the wall opposite from the baseline. Cultural artifacts were handpicked from the one wall, and following that, the collected wall was knocked down into the bottom of the trench and those sediments were shoveled up and out and spread across the ground, where they would again be searched for artifacts. The excavators worked away from the baseline and the digging progressed through the midden deposits. The in-situ artifacts removed from the walls were recorded as “low”, “medium”, or “high” according to their vertical position in the wall. Pearce described his methodology in detail in a “Handbook for Field Work in Archaeology” (Pearce Collection, n.d., Pearce Papers, Texas Archeological Research Laboratory, The University of Texas at Austin). Following Pearce’s excavations, the trench evidently remained open for some time as attested to by the correspondence between James Pearce and Henry Gault held in TARL archives regarding backfilling. Mr. Gault filled the trenches for Professor Pearce in February of 1931.
hunters. The Pearce excavations revealed a broad, dense burned rock midden that was at least 2 m thick and yielded mostly Archaic artifacts. The only records of this work are a few photographs and two short reports to Dr. E. T. Miller, Director of the Fund for Research in the Social Sciences at the UT (Pearce 1930a, b). Although some artifacts were traded by Mr. Pearce during ensuing years, the remainder of the artifacts, numbering 3,332, and two human burials are housed today at the Texas Archeological Research Laboratory (TARL) at UT in Austin. The artifacts recovered from the Gault site were identified by Mr. Pearce using one of 15 terms, with roughly two-thirds of the total identified as either spear or arrow heads. Some of the more unusual terms assigned to the recognized artifacts were “war club spikes” along with “hoe,” a “bone crusher,” and a “limestone ornament.” The Pearce collection was reexamined in 2004 for the first time since 1930 and reclassified and identified using modern terms and categories by Elton Prewitt, a renowned Texas projectile point analyst and longtime Texas archaeologist. This updated analysis identified 37 diagnostic projectile point types from Paleoindian Wilson points to Late Prehistoric Darl/Zephyr types with representative artifacts from all known cultural time periods in between. Statistically the Archaic point types clearly dominate the Pearce collections. In contrast, only one Wilson and no Clovis types were represented. Except for the projectile points, very few other specimens are time diagnostic although a Clovis blade was recognized. Other tool classes represented include bifaces, scrapers, unifaces, drills, gouges, choppers, adzes, modified flakes, and a few bone specimens that include awls, billets, and hammerstones. Ground stone is minimally represented by 10 manos and one metate. Figure 3. Lithic tools from the Gault site, now housed in the Pearce Collection at TARL. California. He also traded 22 projectile points from the Gault site for some Caddoan pottery. J. Alden Mason of the University of Pennsylvania Museum visited Pearce during his “Texas and Southwest Expedition” (also known as the Hering Expedition). In a letter from October of 1929, Mason wrote he was “from Tuesday night until yesterday (Saturday) with Dr. Pearce at the University there. He took me to several of his excavations where I collected a few things and he promises us a good selection from his material in return for some of our publications” (A. Mason to H.H.F. Jayne, letter, 12 October 1929, Museum Texas Expedition papers, University Penn Museum). Seventy-eight lithic artifacts from Florence, Texas listed as coming from the “Dr. Pearce Mound” and “Henry Gault Mound” are in the University Penn Museum (curation lots 29-27-817 to 894) (Allessandro Pezzati, personal communication 2014). In a 1934 preliminary survey that led to the National Park Service (NPS) Park, Parkway, and Recreational Area Study Act of 1936 the NPS asked for information on recreational and historical resources. Pearce was quick to write a recommendation for the “Gault Burnt Rock Mound” and noted that he regretted that funds were not available to completely excavate the site. We don’t know if he intended to revisit the Gault site as his dream of building a first class museum in Texas, the Texas Memorial Museum, finally came to fruition and in June of 1938 he was appointed the first director. James Edwin Pearce died on October 22, 1938.
of Texas. Unpublished M.A. Thesis, Department of Anthropology, The University of Texas at Austin. 2016 “They are Hauling off Bits of Texas”: James E. Pearce and the Effort to Establish a State Museum. Southwestern Historical Quarterly 120(2):146-161. 1930a Report to Director E.T. Miller, Fund for the Research in the Social Sciences, February 2, Manuscript on file, Pearce Collection, Texas Archeological Research Laboratory, The University of Texas at Austin. 1930b Report to Director E.T. Miller, Fund for the Research in the Social Sciences, November10, Manuscript on file, Pearce Collection, Texas Archeological Research Laboratory, The University of Texas at Austin. 1932 The Present Status of Texas Archeology. Bulletin of the Texas Archeological and Paleontological Society, 4:44-54. 1934 Response to National Park Service Archeological Survey. Manuscript on file, Pearce Collection, Texas Archeological Research Laboratory, The University of Texas at Austin. 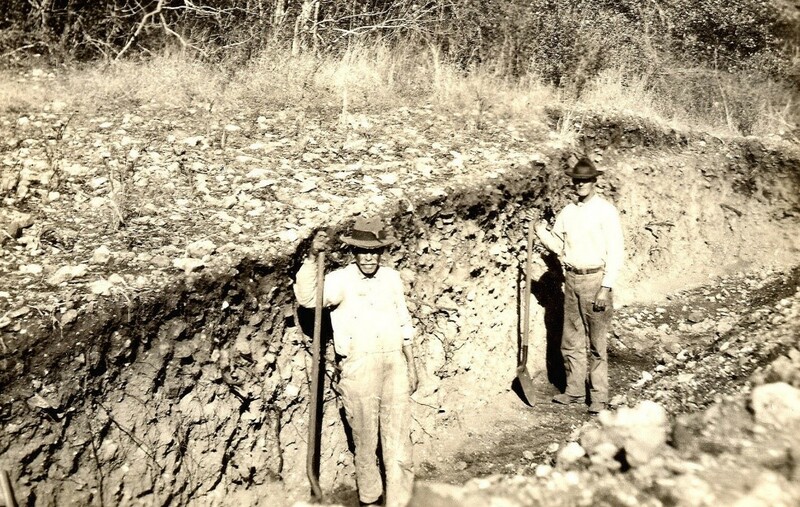 2000 In Their Own Words: Stories from Some Pioneer Texas Archaeologists. Bulletin of the Texas Archeological Society 71:1-146.